Let’s face it, fishing is awesome, but boats are expensive. However, boats give you a variety of benefits. For instance, greater casting distance, comfort, and you have the ability to catch the big ones in the middle of the lake. Thankfully for us prospecting fishermen, there is a smaller, cheaper alternative. Introducing the Fish Cat 4. Designed for still-water fishing on lakes, ponds, and reservoirs, the Fish Cat 4 will have you casting in style. The unique design allows you to relax for hours on a still lake. Apart from being comfortable, the Fish Cat is also strong and durable. It’s constructed out of 420PC and 500PVC fabrics, as well as vinyl AireCell materials. The sewn seam construction also provides extra strength, quality, and durability. The Fish Cat was also designed to give you greater casting distance since it keeps you out of the water. Check out the video below. 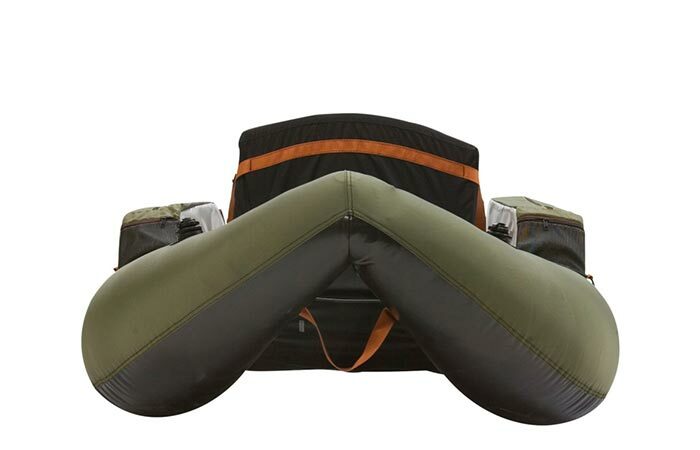 The foam seat and back, along with the two large cargo pockets, truly makes it a unique dingy. It also comes with a foam seat, and seat back, that ensures that you can stay out on the water in comfort for the entire day. To ensure that you are stocked up on gear and snacks, you’ll be pleased to find two large cargo pockets. An adjustable shipping apron has also been included to help you control your line. 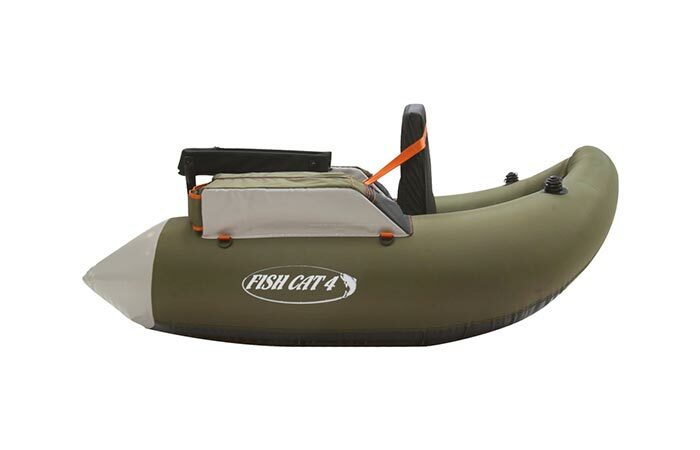 All in all, the Fish Cat 4 weighs 14 lbs, and has a carrying capacity of 250lbs. It also comes with a 5-year manufacturer warranty.